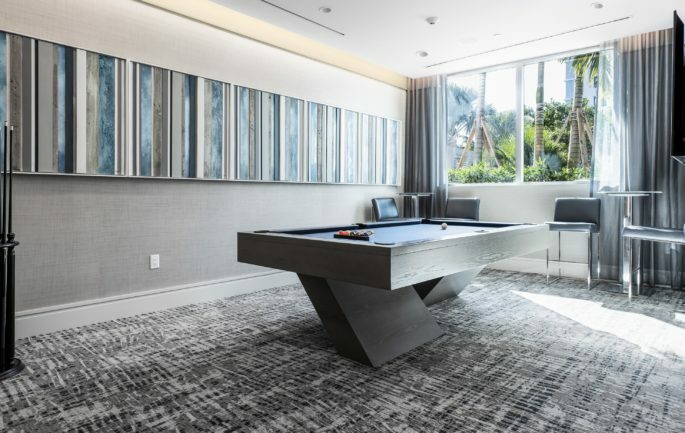 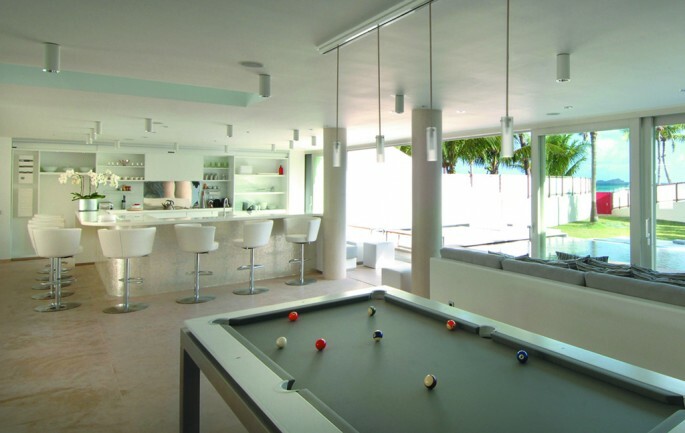 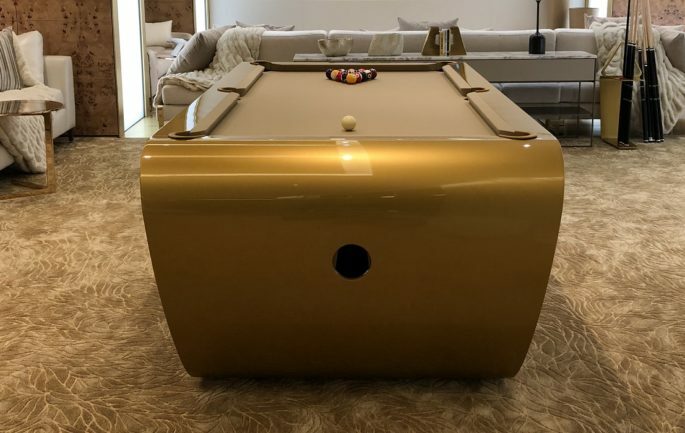 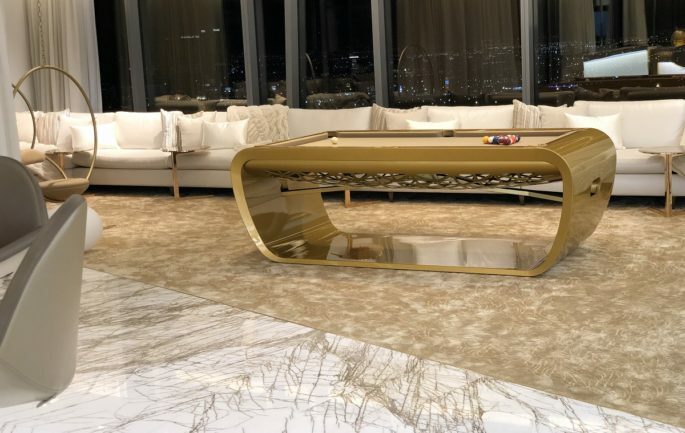 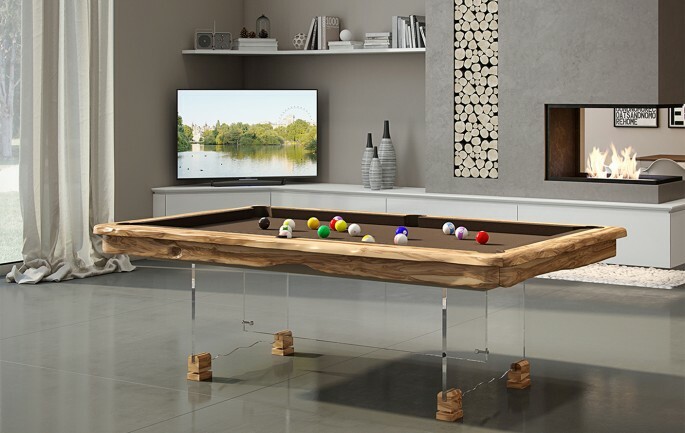 ultra chic pool table featuring the clean lines of a minimalist design. 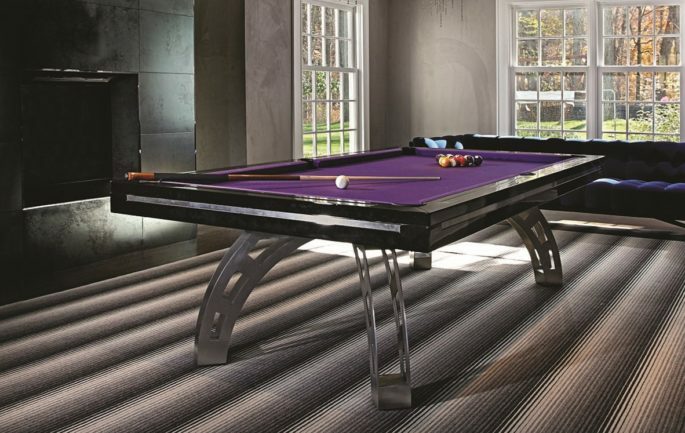 8ft and 9ft sizes, also available in snooker sizes of 10ft and 12ft. 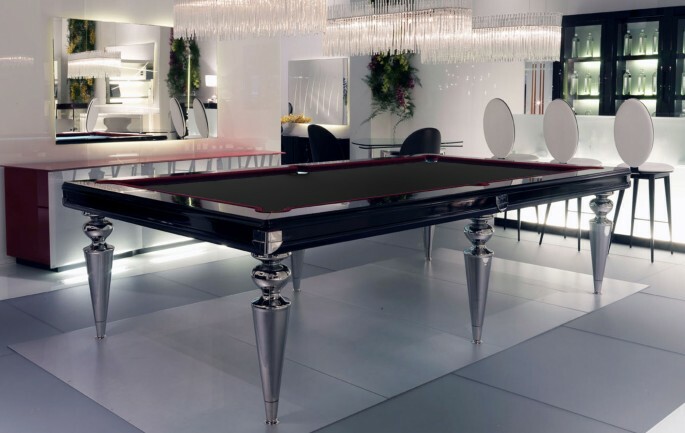 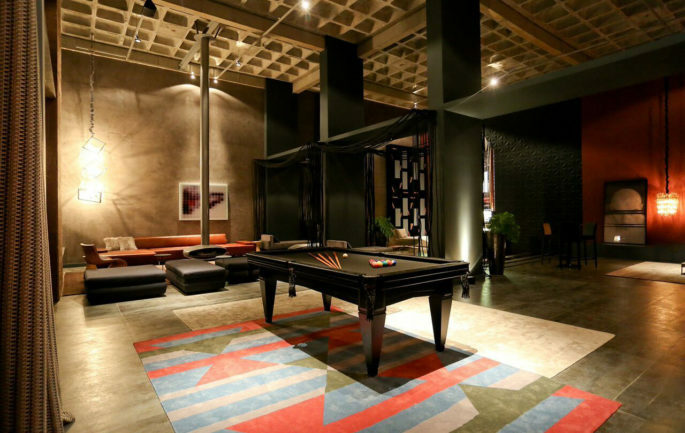 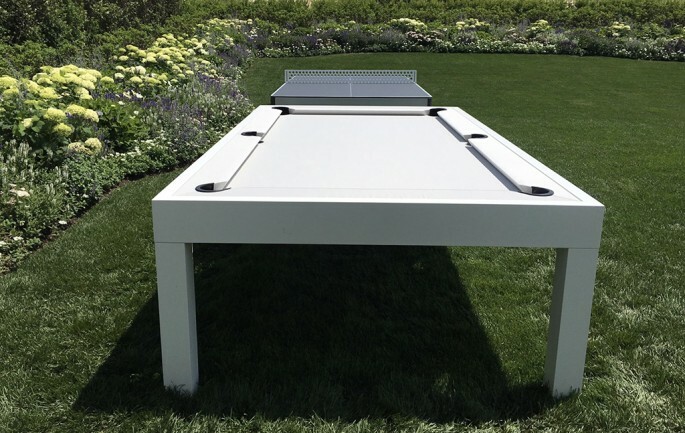 A Tribeca custom game set of billiards, shuf eboard and foosball, optional dining top for all tables. 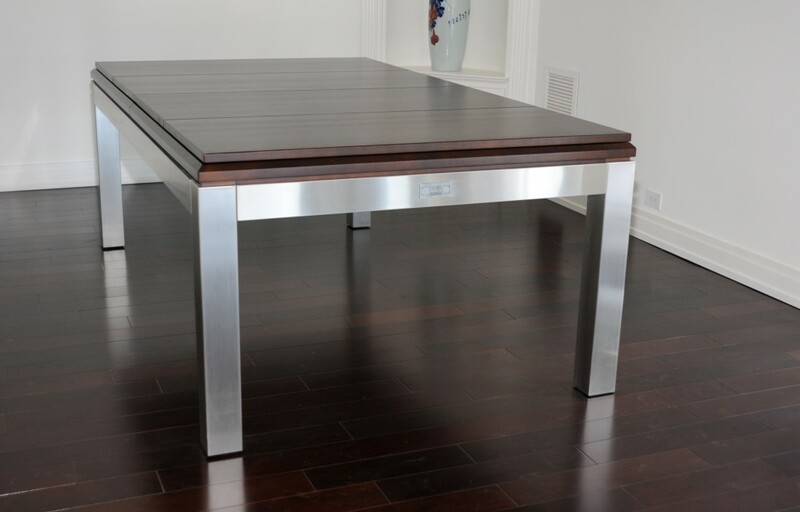 version, or solid wood rails and bib with stainless only on legs. 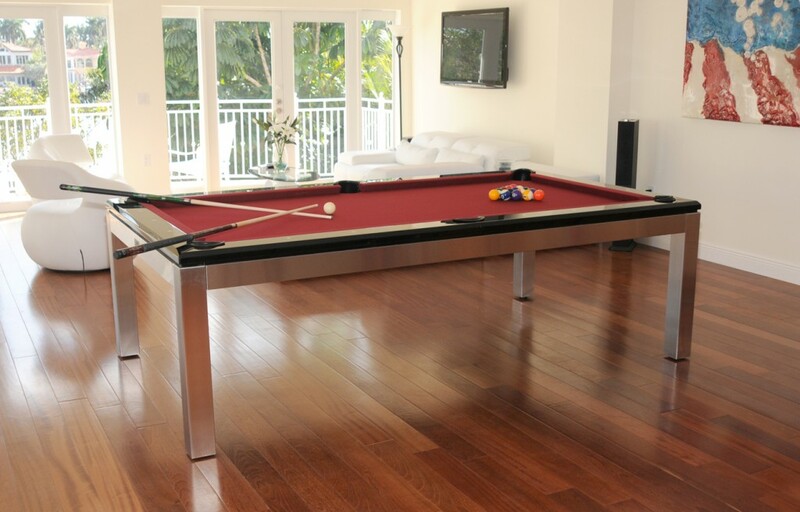 Wood can be stained or upgraded to a satin/high gloss paint in unlimited Ral colors. 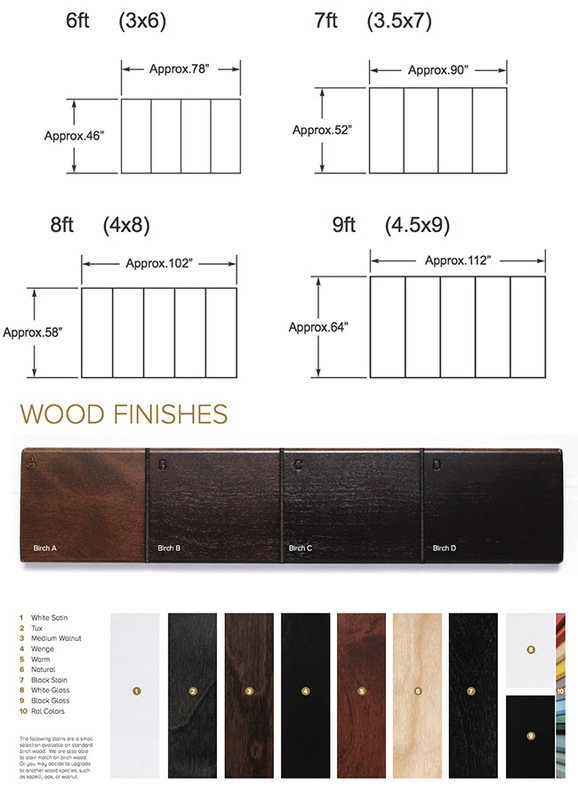 High end wood species of African sapelli, natural walnut, cherry and mahogany wood upgrades available. Tell us if you have a speci c wood in mind. 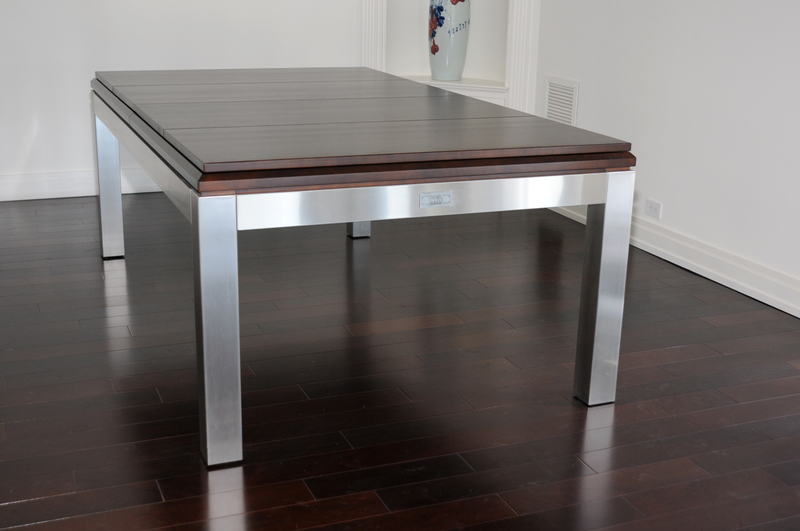 In addition, we are also able to custom stain match a sample provided to us at no additional charge. 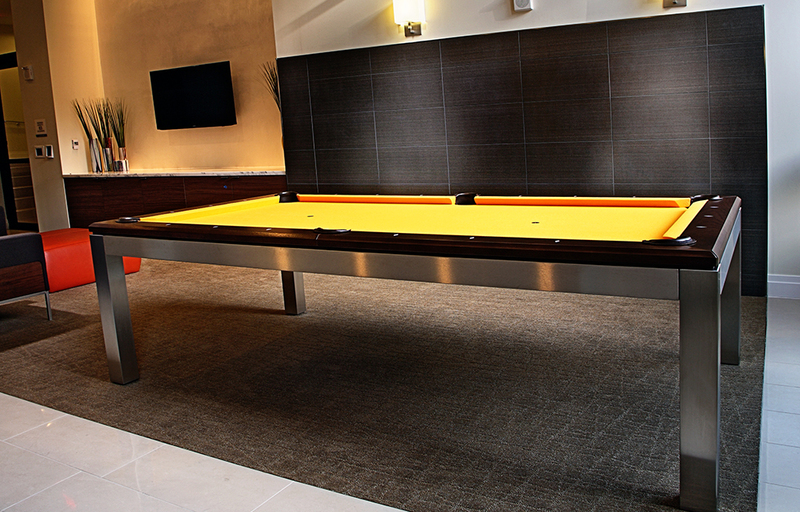 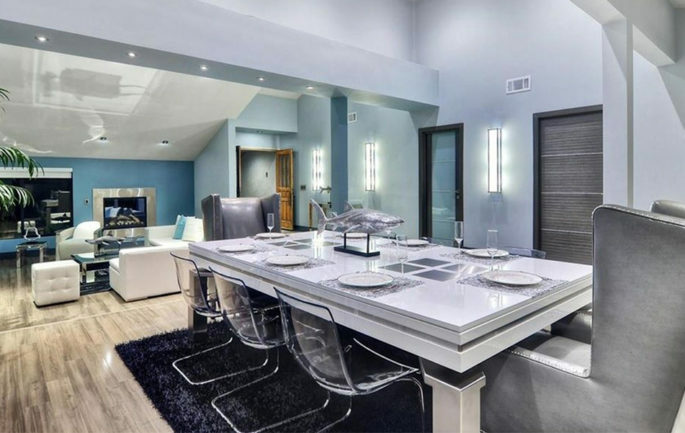 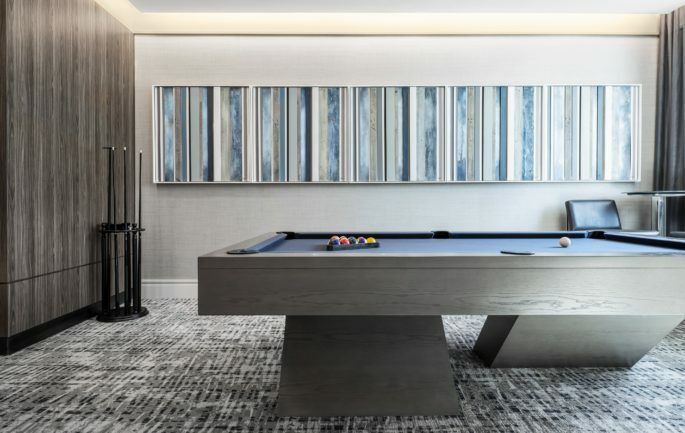 table combination sits in a luxury basement game room in Backbay, Boston. 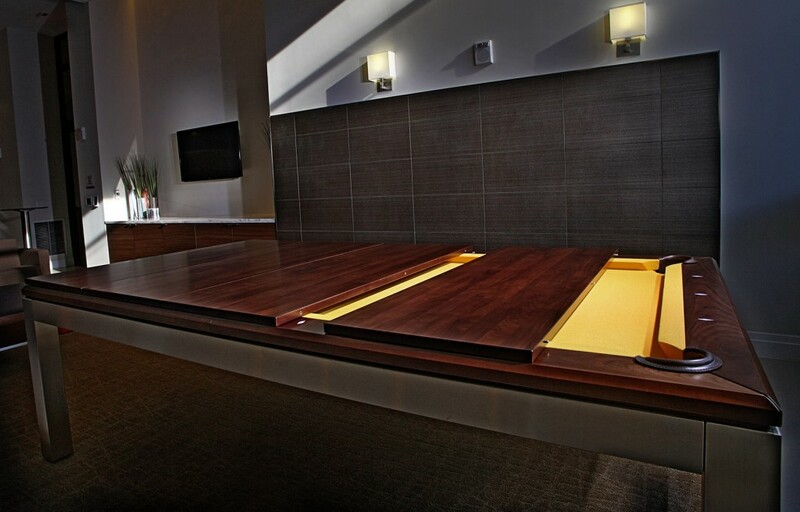 We are also honored to have our projects be a part of a Minnesota Architectural Home Show. 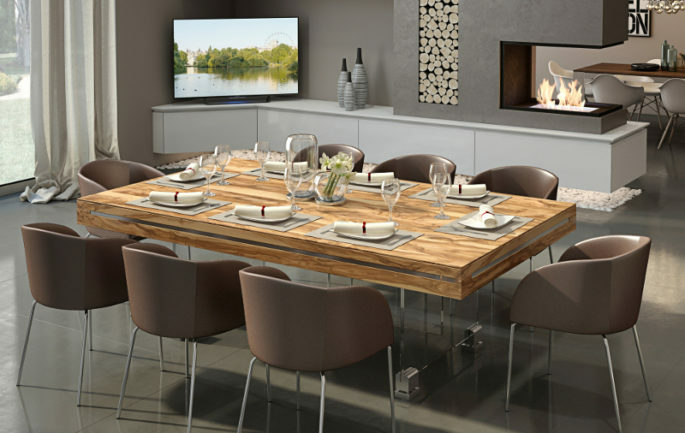 The Tribeca could be a part of your dining room, game room, or even conference room. 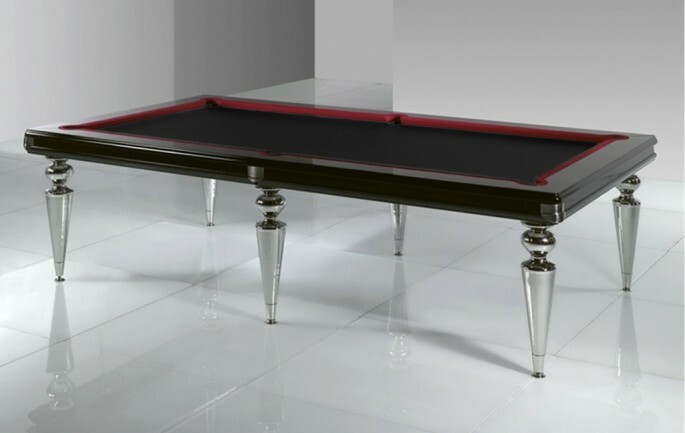 Please contact us after you review our Tribeca Catalog if you have any additional questions or ideas for customizations. 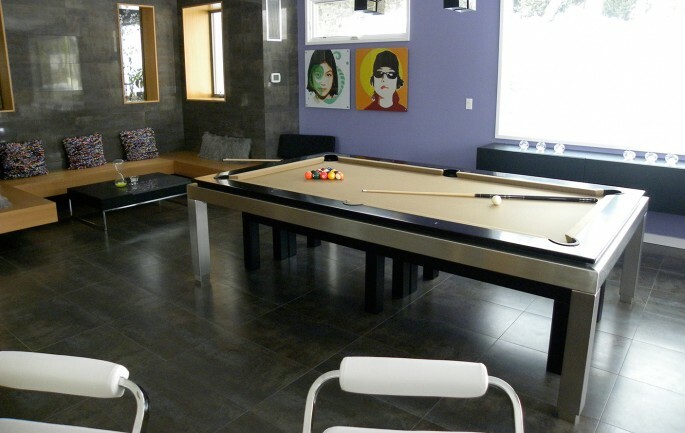 We are happy to oblige.